I love Jeri Smith-Ready's adult/young adult books. She's amazing. 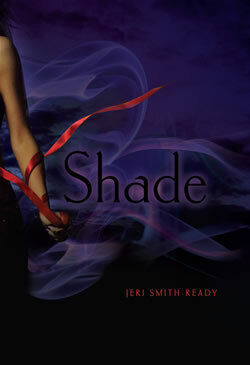 Now she's got a new teen fiction debut, Shade; I just can not wait to read it! Death can't tear them apart. Best. Birthday. Ever. At least, it was supposed to be. With Logan's band playing a critical gig and Aura's plan for an intimate after-party, Aura knows it will be the most memorable night of her boyfriend's life. She never thought it would be his last. It doesn't help that Aura’s new friend Zachary is so understanding—and so very alive. His support means more to Aura than she cares to admit. As Aura's relationships with the dead and the living grow ever complicated, so do her feelings for Logan and Zachary. Each holds a piece of Aura's heart…and clues to the secret of the Shift. Look for the sequel, SHIFT, coming May 2011!! Click the below link to listen to the soundtrack.